Request a quote using your phone or computer – you're about to do this now! We come to your home to install your electric car charger. Easy! Fill out the form below (phone / iPad / tablet friendly) and we will get back to you with a quote to install an electric car charging station at your home. Filling out this form with pictures saves us from driving out to your home, lowering your final cost … and vehicle emissions! If your needs involve an apartment or condominium please click here. Do you have a Car Charger? This information is needed to determine available Electrical Load ensuring the charger does not overload your electric system. This information is needed to determine available Electrical Load. Take a photo standing far enough outside your home to capture the entire front of the home. This helps us to determine the home-to-garage layout. Take a photo of your garage from far enough away that we can determine its placement in relation to your home. 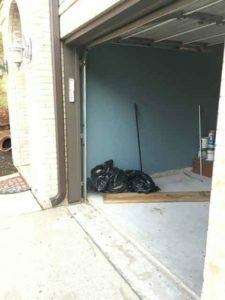 Stand outside your garage with the doors open and take a photo of the entire garage interior. This helps us determine how wiring can be routed. Take a photo of your main electrical panel standing far enough away that we can see its placement in relation to the rest of your home. Your main electrical panel is connected to your electric meter and is most often the larger of your electric panels. Take a photo of your sub-panel standing far enough away that we can see its placement in relation to the rest of your garage or home. Your electrical sub-panel is often smaller and located inside your garage or home. Open your electrical sub-panel door and take a photo that includes all the breakers and labels. Take a photo of where you think your home charging station should be placed.